19 1/2in x 14 1/2in. Your heart will beat true for this red, white and blue Patriotic Serving Tray! 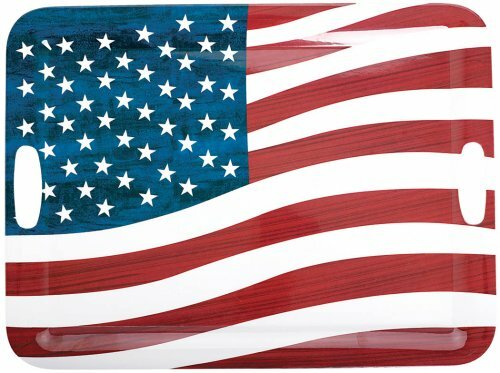 Featuring the American flag with red and white stripes and white stars on blue, this Patriotic Serving Tray has two handles for convenient carrying. 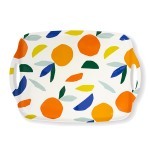 Great for summertime treats like fruit, sandwiches, hot dogs and hamburgers, desserts and so much more!